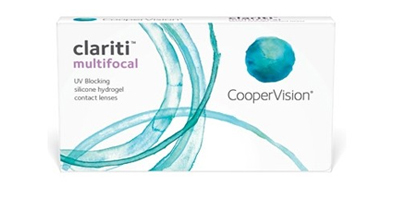 This unique multifocal contact lens is designed for Presbyopia wearers-made from silicone hydrogel material. This means you’ll be getting more oxygen to your eye than conventional contact lenses, which helps to keep your eyes healthy for longer. CooperVision’s lenses brings together the best elements of aspheric progressive contact lenses, while’s limiting the problems. It works with the eye’s natural functions to provide balanced vision near, far and in between, across variable lighting conditions. Clariti Multifocal also includes an inbuilt UV absorbing technology, which blocks harmful UVA and UVB rays from reaching the eyes surface, helping to preserve ocular health. It also accommodates a wide range of reading Adds. 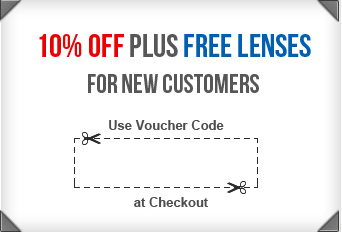 Place an order for ClaritiMultifocal monthly lenses with us and get fast delivery to your doorstep.